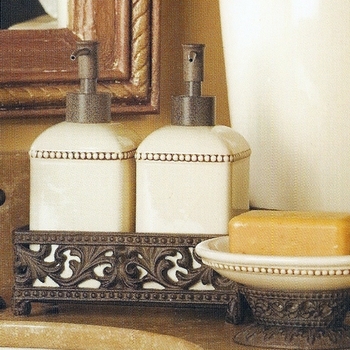 Leave it to the masters at the GG Collection to translate the timeless traditions of an Italian cucina into a rich and gracious collection for the bath! 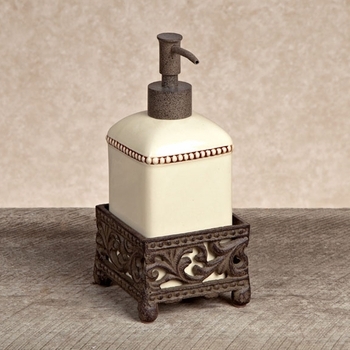 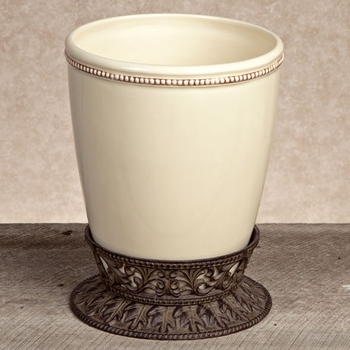 The Acanthus Collection of tableware with its emphasis on heavy, embellished ceramics and burnished metal accents is reinterpreted in creature comfort laden soap dishes, lotion pumps, guest towel holders and vanity sets. 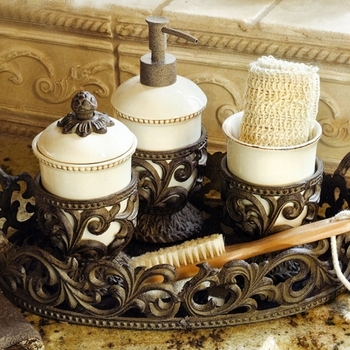 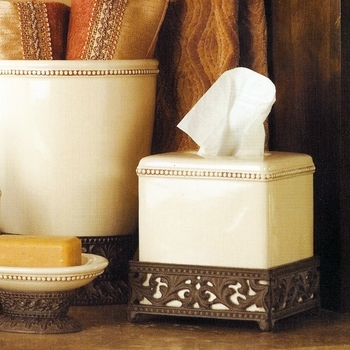 The rustic beading and scrolling flourishes are just as impressive on required bath accessories as they are on a dinner party table.